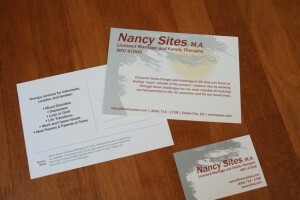 Postcards and business cards for NancySites.com. We are using the postcards in combination with an Adwords campaign, targeting potential referral sources for client's private practice. Having used the advertising platforms on LinkedIn, Facebook, Bing/Yahoo, and Google, I am interested to do a cost-per-referral analysis including the postcards when the campaign concludes. Starting cost-per-click on the social networks exceeds that of a postcard (with stamp), and it takes roughly 3 clicks via Adwords to equal one card. Though it takes more time to fill in a postcard, the personal touch can be invaluable. If you know your target market, it's worth considering. I'll keep you posted on how it goes. Shout out to Moo_com for doing a great job with this batch. One of the biggest challenges faced by musicians is to find new ways to connect with fans. Communicating their art should be approached much like marketing a brand. Selling music is no longer enough. Today's musicians rely on a strong relationship with their fan base in order to make a living off of everything they do; selling music and merchandise, live performances, licensing, etc. 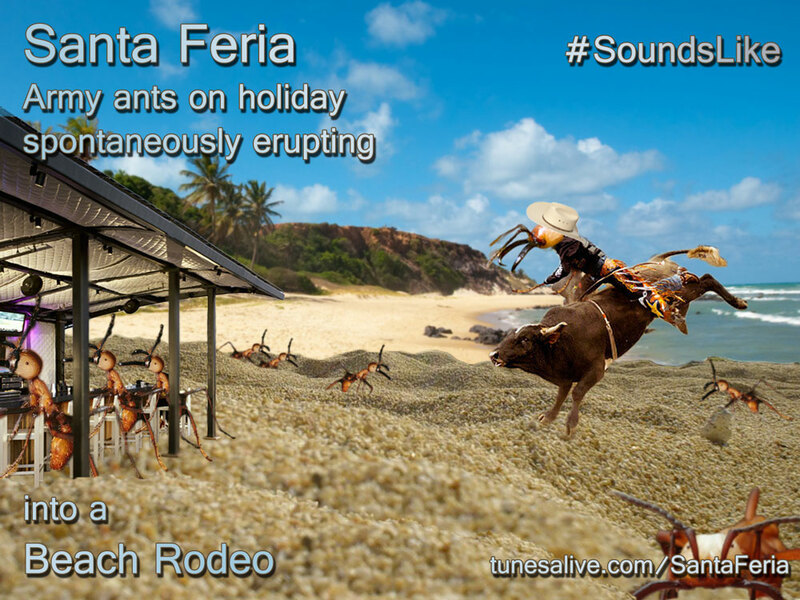 The Tunes Alive #soundslike campaign is about creating visual mashups with descriptive language aimed at enticing new fans to check out their music, and get to know the artist. The image is then shared on social networks with a link to the artist's profile page. This is one I did Santa Feria. What do you think, did I get it right? The vision of Charles Creative is to help our clients succeed. This involves understanding what drives them and their ventures, and finding the best way to communicate that passion to their customers. I frequently tell clients that they must pick a maximum three points of focus when devising their message. This goes for websites, commercials, fliers, and business cards. You can offer additional services, but to include them all on your business card would only dilute your message. If you want to tell them more, why not use a QR code to give clients quick and easy access to your website? Focusing on just a few things that you do best can be extremely difficult. The rule of “3″ takes a lot of practice – and it is a rule that I too must be constantly reminded to follow.